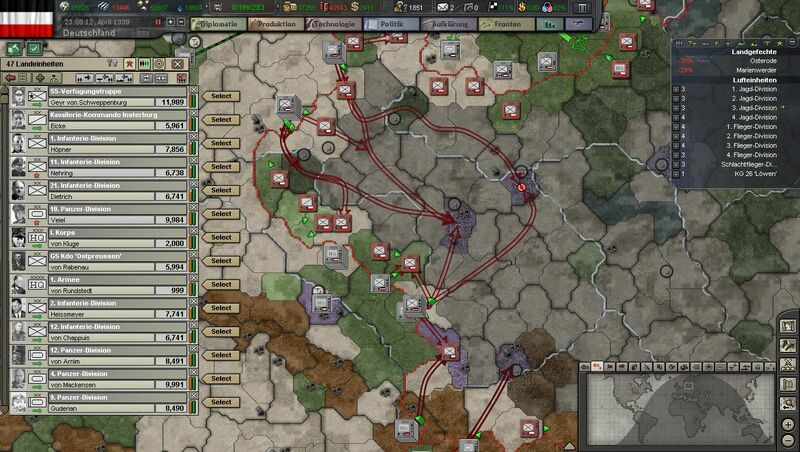 German 1936 Solo Campaign – Attenzionen!!! 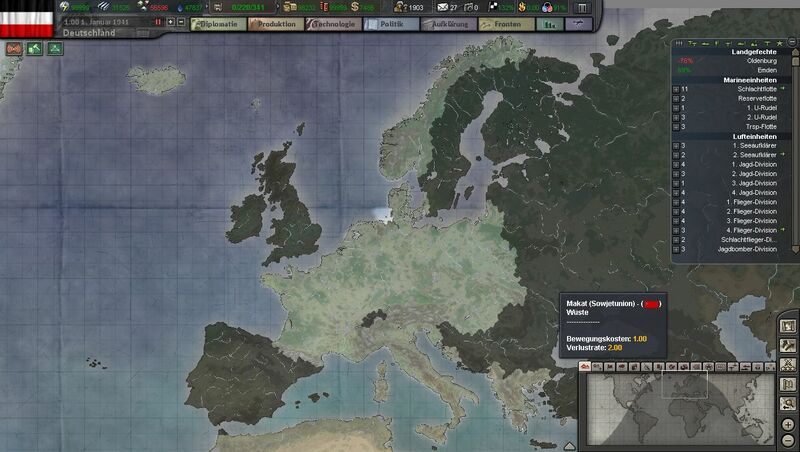 My idea for the German conquest of the world focusses on creating Axis puppet states in Western Europe. Occupation would give me more recources but also creates resistance sentiments. By transferring subjungated countries into allies I hope to have my back secured when at last I take on the main enemy, the Sovjet Union. 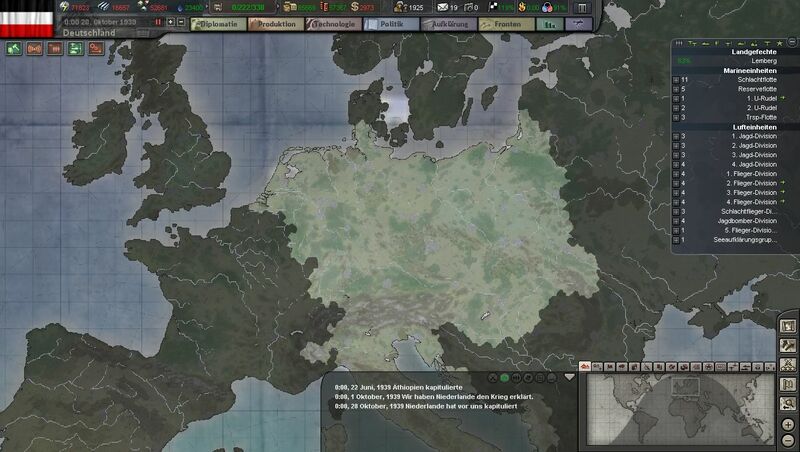 The German aim for 1936/37 is to strengthen the industrial base, expand war related technology, and to expand the armed forces in preparation for the comming war. The main effort will be with the high tech forces as they need much time to build up. 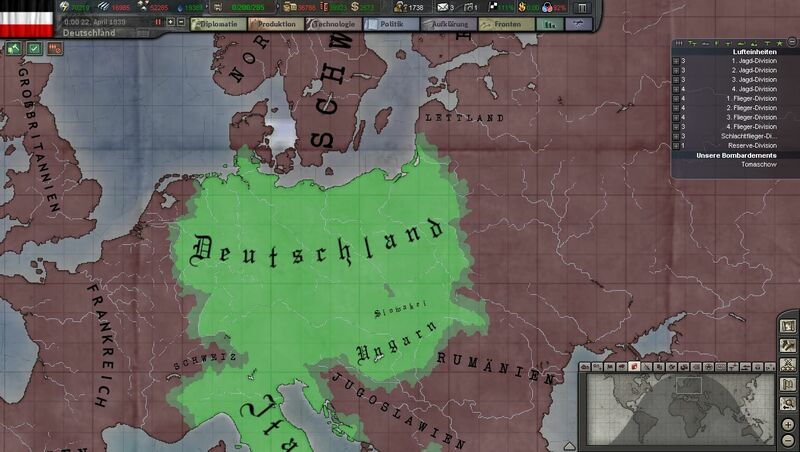 Germany will now exert pressure on its neighbours to regain territory with mainly German speaking population. First on the list is Austria, later the Sudetenland and some regions in the east. 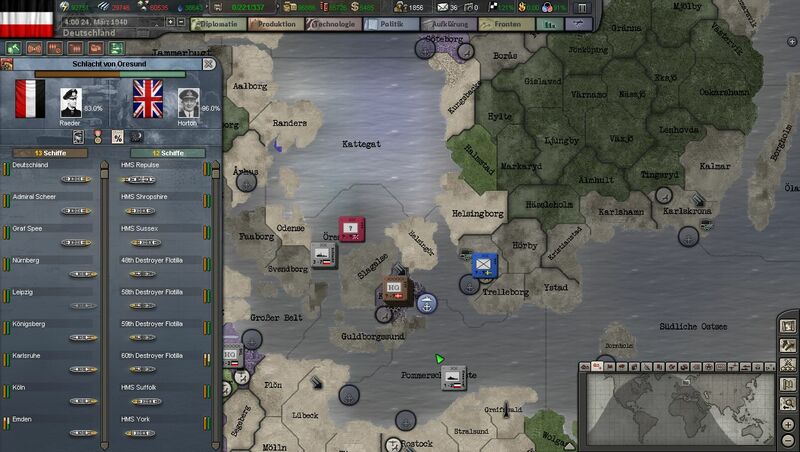 The build up of the Wehrmacht is in full swing and will provide the armed fist to attain Germany’s goals. 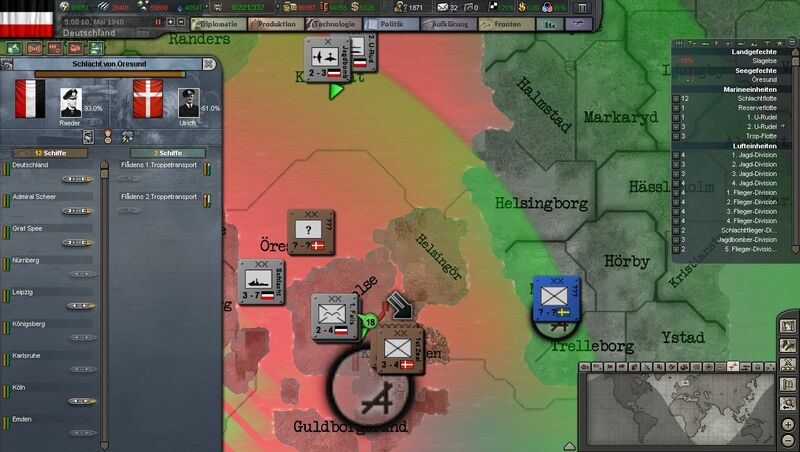 The German strategy calls for an early and lightning war against Poland. The preconditions for an escalation of conflicts with the neighbours are all set. 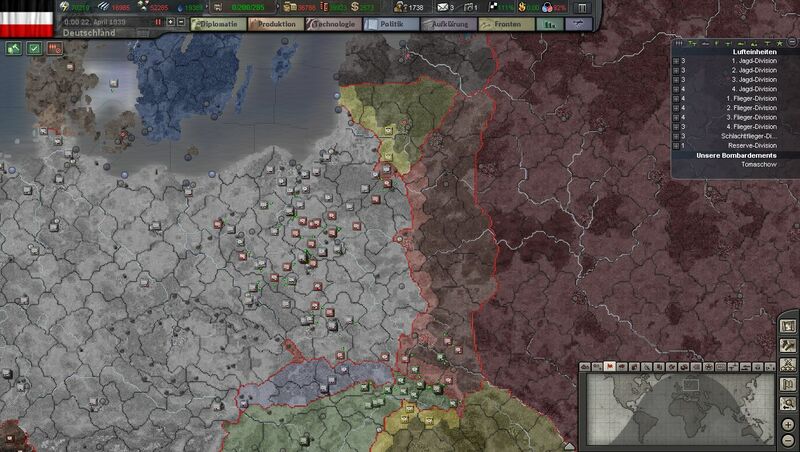 End of March tensions rise to the extreme as Poland, then France and finally Germany mobilise. 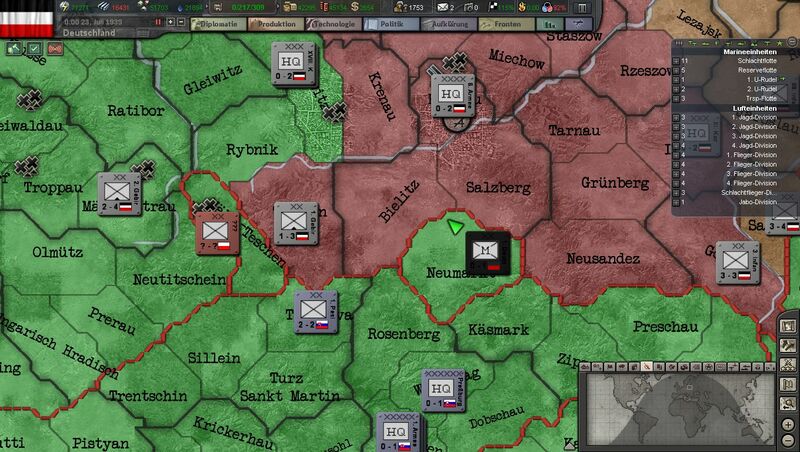 April sees a 10-day campaign in which the German forces overrun Poland. Meanwhile the Allies fall upon the Italians in North Italy and Afrika. Italian territories in Ethiopia are are threatened. As an immediate support measure OKW commands Luftflotte II with a total of 8 Kampfgeschwader to attack French forces in Liguria. This meets some success. 01 Oktober 1939 the Wehrmacht invades the Netherlands. The same time Japan invades Indonesia. 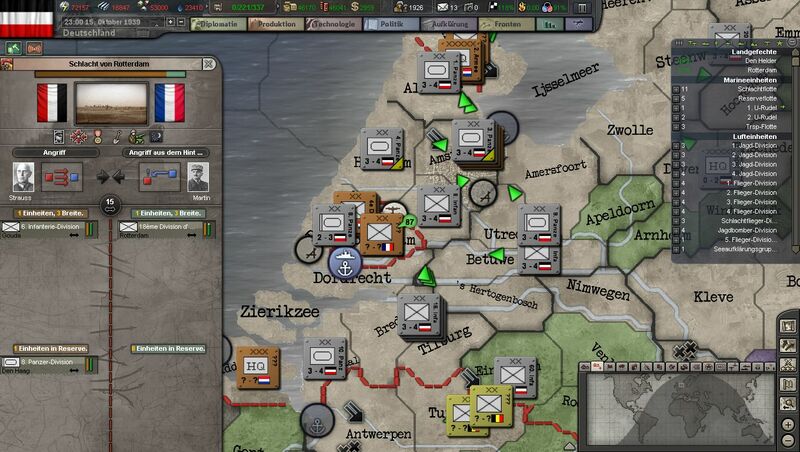 28 October 1939 Dutch ask for an armistice and join the Axis as a puppet nation. The Invasion of Belgium springs a Blitzkrieg into France. 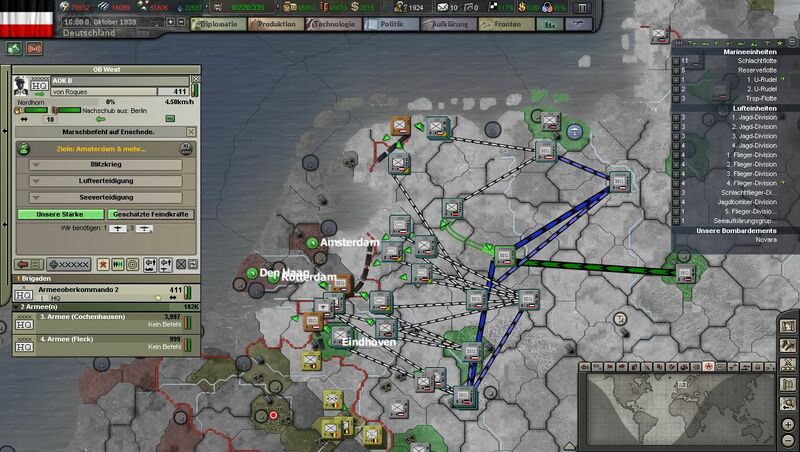 In a winter campaign Belgium and northern France are overrun. This brings an end to the french invasion of Italy. With the main antagonist on the continent subdued its timeto decide what to do next. The German armed forces are in need of some reorganisation and replenishment. Unexpectedly the British stage an invasion of the Netherlands. 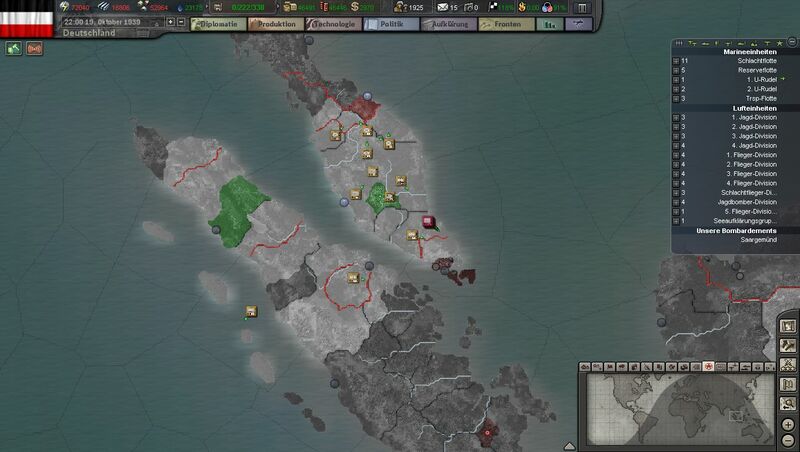 Strategig reserves are brought up and in a few days the British are defeated.